Get sucked into the Jumanji world in the NetEnt's Jumanji game online! If any song could depict Jumanji game online, this would be it. And not because of its name. 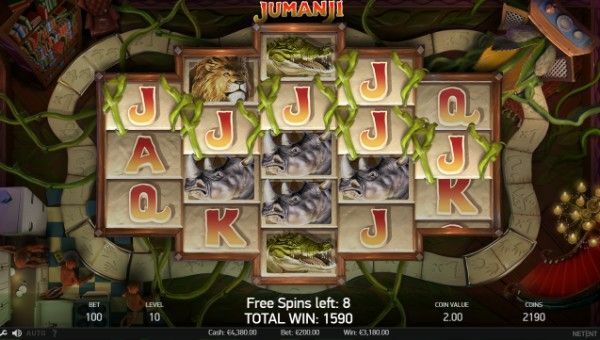 Jumanji Slot has everything you want: mainly fun and games. 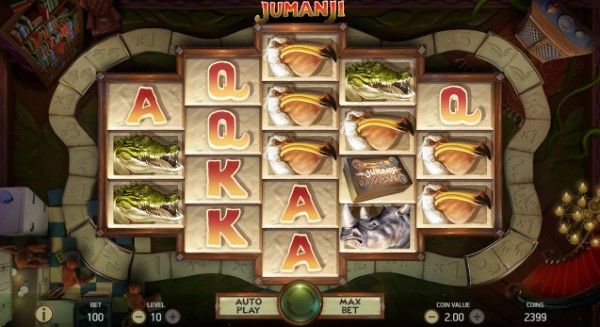 Jumanji video Slot is based on the original Jumanji movie from 1995. 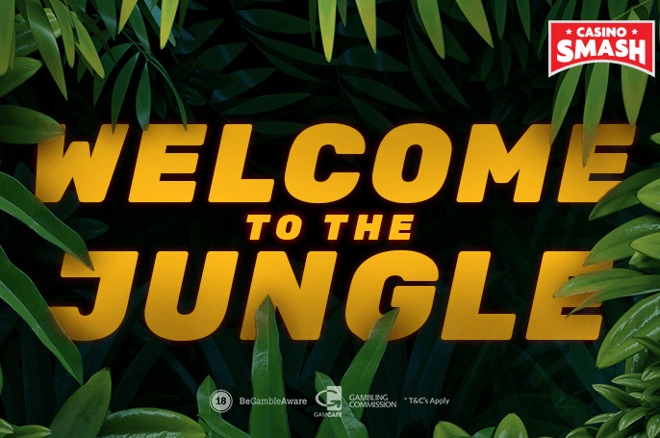 More than 20 years later NetEnt made an agreement with Sony Pictures Entertainment to bring our favorite jungle movie to the Casinos. This is not your typical online Slot. It has five reels making a geometric form with three to five rows, all framed within a Jumanji game board. The symbols include everything you’d relate to the movie - Jumanji game board and all the wild animals you’d meet if the game sucked you into the jungle. Alligators, lions, pelicans, rhinos – you name it. the scatter symbol is the Jumanji board game box. Jungle sounds in the background and special features are on point, too. Until someone creates a virtual reality version of Jumanji game, this is as close as you can get to the actual (and by actual I mean fictional) magical game of Jumanji. The best part about this Slot is how much it resembles the movie. Even the features you get are based on the adventures the main characters got themselves into. Landing three or more scatters activates the Board Game Bonus. five scatters - eight dice rolls. 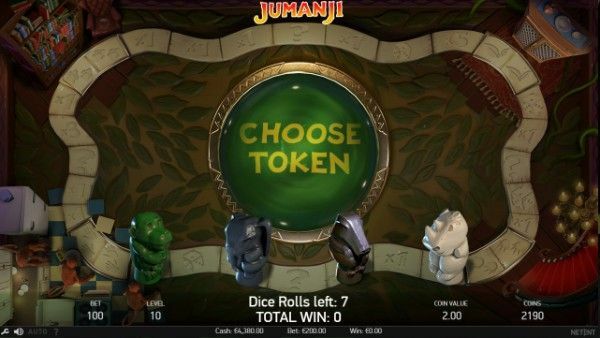 Choose a token to represent you on the Jumanji board and go ahead with the roll. No matter how many dice rolls you have, it’s impossible to leave the Board Game Bonus empty-handed. With each roll, you move on the Jumanji game board. Every stop awards you with coin prizes, gets you an extra dice roll, activates a Mystery feature, or triggers Free Spins features. Free Spins features are what you want the most, trust me. Sticky Vines 10 FS Your winning symbols and all the wilds on the screen stick to the reels for re-spins. Monsoon Wilds 7 FS One or two reels are covered in wilds while the other ones keep spinning. Monkey Mayhem 6 FS Tiny monkeys’ hands grab the symbols on the reels and switch them up to give you a winning combination. Wild Stampede 5 FS Where there are rhinos, there’s always a stampede. A group of rhinos runs over your reels and you can expect four or more wilds appearing on it. These features can be activated randomly during the base game, too! Sadly, they don’t include the free spins then. But let’s get back to the Board Bonus Game. If your token rests on a coin prize field, your current bet gets a multiplier of up to 10x. When it’s the extra roll field, you get one of two extra dice rolls. Mystery Feature is, obviously, a mystery. You can get either coin prize, two extra rolls, or trigger one of the Free Spins features. Essentially, it’s a carousel of all the other features and gifts you can activate in the Board Game Bonus. 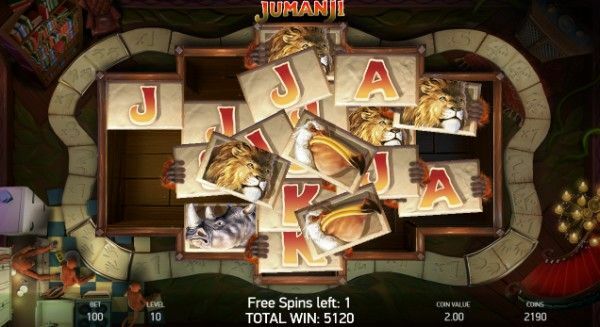 Jumanji game online is one of the most unique Slots you can play to win real money. It has awesome features that make you feel like you're in the movie. Every detail of the game is on point: including graphics, sounds, and bonus features. For a branded Slot it also has a kickass return to the player percentage - 96.33 percent. And seriously, I cannot come up with a single con of this Slot, that's how great it is. 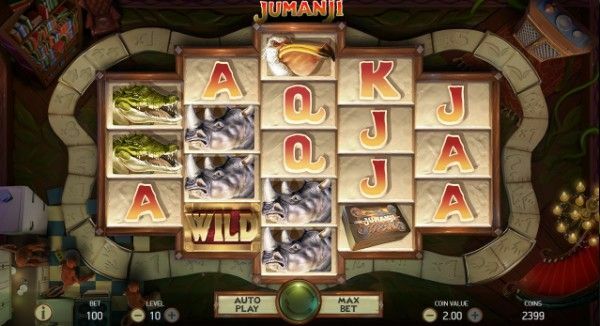 Play Jumanji Slot and you'll see for yourself.